"The best headphone in the world." "The price above isn't a misprint - they really do set you back a grand." 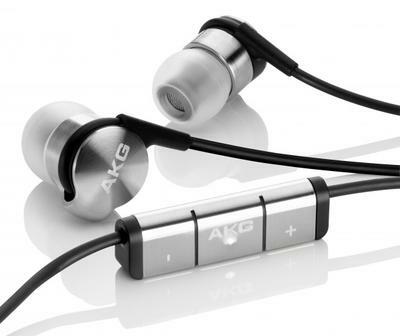 "AKG launches K3003 luxury in-ear headphones"
for comfortable use indoors or outside. The housing of the K3003 is chiselled out of one piece of brushed stainless steel. This robust housing not only protects the earphone body from scratches but also safeguards the K3003s' inner workings from physical damage. The K3003s' remote control can receive or terminate phone calls, skip and pause music, and control the volume of your sound. And its stainless-steel skin gives the remote long life, endurance and scratch resistance. The K3003s' 3.5mm (1/8") jack plug is plated in rose gold to provide maximum signal transfer with clear and lossless sound. And it's encased in stainless steel to secure a strong, steady connection. The fabric and silicone materials in the K3003s' cable allow tangle-free handling and make it durable enough to deliver your music reliably for a long time. sound-output preferences directly into your ear. on the filter of your favor. The K3003 in-ear lifestyle headset comes with several exclusive accessories that perfectly match the earphones' stainless-steel casing. The K3003 earphones (without remote control) are compatible with all audio devices. 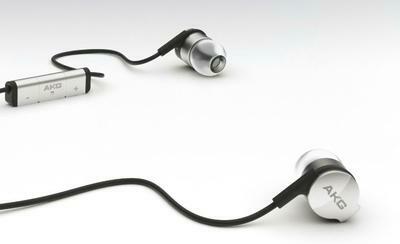 The K3003i earphones (with remote control) are designed for use with iPhone devices and other Apple products. The microphone is supported by BlackBerry® devices. Other mobile devices might require an adapter.